Minamata disease (Japanese: 水俣病, Hepburn: Minamata-byō), sometimes referred to as Chisso-Minamata disease (チッソ水俣病, Chisso-Minamata-byō), is a neurological syndrome caused by severe mercury poisoning. Symptoms include ataxia, numbness in the hands and feet, general muscle weakness, loss of peripheral vision, and damage to hearing and speech. In extreme cases, insanity, paralysis, coma, and death follow within weeks of the onset of symptoms. A congenital form of the disease can also affect fetuses in the womb. 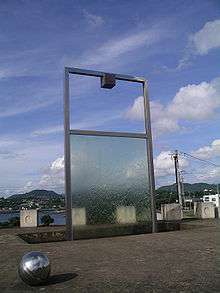 Minamata disease was first discovered in Minamata city in Kumamoto prefecture, Japan, in 1956. It was caused by the release of methylmercury in the industrial wastewater from the Chisso Corporation's chemical factory, which continued from 1932 to 1968. This highly toxic chemical bioaccumulated in shellfish and fish in Minamata Bay and the Shiranui Sea, which, when eaten by the local populace, resulted in mercury poisoning. While cat, dog, pig, and human deaths continued for 36 years, the government and company did little to prevent the pollution. The animal effects were severe enough in cats that they came to be named as having "dancing cat fever". "Minamata disease is a poisoning disease that affects mainly the central nervous system and is caused by the consumption of large quantities of fish and shellfish living in Minamata Bay and its surroundings, the major causative agent being some sort of organic mercury compound." For more details on this topic, see Minamata disease compensation agreements of 1959. 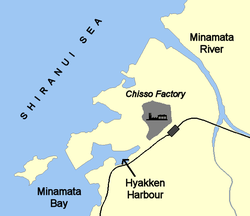 Polluting wastewater had damaged the fisheries around Minamata ever since the opening of the Chisso factory in 1908. The Minamata Fishing Cooperative had managed to win small payments of "sympathy money" (見舞い金, mimaikin) from the company in 1926 and again in 1943, but after the outbreak of Minamata disease, the fishing situation was becoming critical. Fishing catches had declined by 91% between 1953 and 1957. The Kumamoto prefectural government issued a partial ban on the sale of fish caught in the heavily polluted Minamata Bay, but not an all-out ban, which would have legally obliged it to compensate the fishermen. The fishing cooperative protested against Chisso and angrily forced their way into the factory on 6 August and 12 August, demanding compensation. A committee was set up by Minamata Mayor Todomu Nakamura to mediate between the two sides, but this committee was stacked heavily in the company's favour. On 29 August, the fishing cooperative agreed to the mediation committee's proposal, stating: "In order to end the anxiety of the citizens, we swallow our tears and accept". The company paid the cooperative ¥20 million (US$55,600) and set up a ¥15 million ($41,700) fund to promote the recovery of fishing. Since the change of route of wastewater output in 1958, pollution had spread up and down the Shiranui Sea, damaging fisheries there, too. Emboldened by the success of the small Minamata cooperative, the Kumamoto Prefectural Alliance of Fishing Cooperatives also decided to seek compensation from Chisso. On 17 October, 1,500 fishermen from the alliance descended on the factory to demand negotiations. When this produced no results, the alliance members took their campaign to Tokyo, securing an official visit to Minamata by members of the Japanese Diet. During the visit on 2 November, alliance members forced their way into the factory and rioted, causing many injuries and ¥10 million ($27,800) worth of damage. 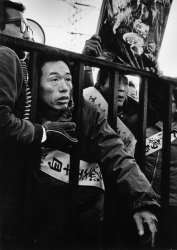 The violence was covered widely in the media, bringing the nation's attention to the Minamata issue for the first time since the outbreak began. Another mediation committee was set up, and an agreement was hammered out and signed on 17 December. Some ¥25 million of "sympathy money" was paid to the alliance and a ¥65 million fishing recovery fund was established. In 1959, the victims of Minamata disease were in a much weaker position than the fishermen. The recently formed Minamata Disease Patients Families Mutual Aid Society was much more divided than the fishing cooperatives. Patients' families were the victim of discrimination and ostracism from the local community. Local people felt that the company (and their city that depended upon it) was facing economic ruin. To some patients, this ostracism by the community represented a greater fear than the disease itself. After beginning a sit-in at the factory gates in November 1959, the patients asked Kumamoto Prefecture Governor Hirosaku Teramoto to include the patients' request for compensation with the mediation that was ongoing with the prefectural fishing alliance. Chisso agreed and after a few weeks' further negotiation, another "sympathy money" agreement was signed. Patients who were certified by a Ministry of Health and Welfare committee would be compensated: adult patients received ¥100,000 ($278) per year; children ¥30,000 ($83) per year, and families of dead patients would receive a one-off ¥320,000 ($889) payment. For more details on this topic, see Niigata Minamata disease. "Minamata disease is a disease of the central nervous system, a poisoning caused by long-term consumption, in large amounts, of fish and shellfish from Minamata Bay. The causative agent is methylmercury. Methylmercury produced in the acetaldehyde acetic acid facility of Shin Nihon Chisso's Minamata factory was discharged in factory wastewater... Minamata disease patients last appeared in 1960, and the outbreak has ended. This is presumed to be because consumption of fish and shellfish from Minamata Bay was banned in the fall of 1957, and the fact that the factory had waste-treatment facilities in place from January 1960." In light of the government announcement, the patients of the Mutual Aid Society decided to ask for a new compensation agreement with Chisso and submitted the demand on 6 October. The company replied that it was unable to judge what would be fair compensation and asked the national government to set up a binding arbitration committee to decide. This proposal split the members of the patients' society, many of whom were extremely wary of entrusting their fate to a third party, as they had done in 1959 with unfortunate results. At a meeting on 5 April 1969, the opposing views within the society could not be reconciled and the organisation split into the arbitration group (who were willing to accept binding arbitration) and the litigation group (who decided to sue the company). That summer, Chisso sent gifts to the families who opted for arbitration rather than litigation. "The defendant's factory was a leading chemical plant with the most advanced technology and ... should have assured the safety of its wastewater. The defendant could have prevented the occurrence of Minamata disease or at least have kept it at a minimum. We cannot find that the defendant took any of the precautionary measures called for in this situation whatsoever. The presumption that the defendant had been negligent from beginning to end in discharging wastewater from its acetaldehyde plant is amply supported. The defendant cannot escape liability for negligence." As of March 2001, 2,265 victims have been officially certified (1,784 of whom have died) and over 10,000 people have received financial compensation from Chisso, although they are not recognised as official victims. The issue of quantifying the impact of Minamata disease is complicated, as a full epidemiological study has never been conducted and patients were recognised only if they voluntarily applied to a certification council to seek financial compensation. Many victims of Minamata disease faced discrimination and ostracism from the local community if they came out into the open about their symptoms. Some people feared the disease to be contagious, and many local people were fiercely loyal to Chisso, depending on the company for their livelihoods. In this atmosphere, sufferers were reluctant to come forward and seek certification. Despite these factors, over 17,000 people have applied to the council for certification. Also, in recognising an applicant as a Minamata disease sufferer, the certification council qualified that patient to receive financial compensation from Chisso. For that reason, the council has always been under immense pressure to reject claimants and minimise the financial burden placed on Chisso. Rather than being a council of medical recognition, the decisions of the council were always affected by the economic and political factors surrounding Minamata and the Chisso corporation. Furthermore, compensation of the victims led to continued strife in the community, including unfounded accusations that some of the people who sought compensation did not actually suffer from the disease. More properly, the impact should be called a criminal 'poisoning', not a clinical 'disease'. These forms of obfuscation are commonly experienced by 'environmental victims' in many countries. Minamata disease remains an important issue in contemporary Japanese society. Lawsuits against Chisso and the prefectural and national governments are still continuing and many regard the government responses to date as inadequate. The company's "historical overview" in its current website makes no mention of their role in the mass contamination of Minamata and the dreadful aftermath. Their 2004 Annual Report however reports an equivalent of about US$50 million (5,820 million yen) in "Minamata Disease Compensation Liabilities". From 2000 to 2003, the company also reported total compensation liabilities of over US$170 million. Their 2000 accounts also show that the Japanese and Kumamoto prefectural governments waived an enormous US$560 million in related liabilities. Their FY2004 and FY2005 reports refer to Minamata disease as "mad hatter's disease", a term coined from the mercury poisoning experienced by hat-makers of the last few centuries (cf Mad Hatter). 1 2 Stephen J. Withrow, David M. Vail, Withrow and MacEwen's Small Animal Clinical Oncology, Elsevier: 2007, ISBN 0721605583, p. 73-4. 1 2 Official government figure as of March 2001. See "Minamata Disease: The History and Measures, ch2"
↑ Jane Hightower (2008). Diagnosis Mercury: Money, Politics and Poison, Island Press, p. 77. ↑ Report of the Social Scientific Study Group on Minamata Disease, In the Hope of Avoiding Repetition of a Tragedy of Minamata Disease, National Institute for Minamata Disease, p. 13. ↑ See "Mercury poisoning of thousands confirmed" by Jonathan Watts, The Guardian, 16 October 2001, retrieved 24 October 2006. ↑ Williams, C. (1998) Environmental Victims: New Risks new Injustice. London Earthscan. ↑ George, Timothy S. (2001). 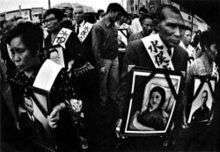 Minamata: Pollution and the Struggle for Democracy in Postwar Japan. Harvard University Asia Center. ISBN 0-674-00785-9. ↑ "Shisei Kuwabara – 'Minamata': The Starting point of the work of the photojournalist, Shisei Kuwabara", KMoPA. (In Japanese, despite the English title.) Accessed 4 January 2012. ↑ Read the thoughts of a photography magazine editor surrounding the controversy of the photograph's withdrawal: "Tomoko Uemura, R.I.P." by Jim Hughes, The Digital Journalist, retrieved 24 October 2006. ↑ Chisso Corporation. "Historical Overview". Chisso Corporation official site. Chisso. Retrieved 8 May 2013. ↑ FY2004 and FY2005 financial results. URL retrieved 2008-03-07. ↑ Hirano, Keiji, Kyodo News, "Mercury pact falls short on Minamata", Japan Times, 1 March 2012, p. 3.